Our mission is to make New Image software products the greenest, most cost effective and user friendly field automation systems available on the market today. InspectorFX is a product of New Image Software Inc. New Image President, Rich Jordan, has roots in the home inspection and pest control industries. He started his own pest and lawn care company when he was 19. In the 1990's he created a national home inspection company with a network of over 3,000 independent inspectors. The company he founded, RAL Inspection Services Inc., performed up to forty thousand inspections annually, including whole house, radon and wood destroying organisms. Because his final product was a paper report, he soon discovered the high costs associated with handling mounds of paperwork and photos. His desire to reduce this expense naturally led him into software development. 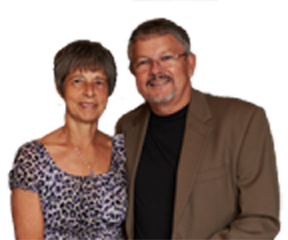 Rich and his wife Kathy launched New Image Software in 2003. After reading the best seller "Future Consumer.com" by Frank Feather, they decided to follow his advice and build New Image from the beginning as a "virtual company". Convinced by Feather that the future of any business would be intimately tied to the Internet (rather than conventional "brick and mortar"), they began searching for products and services that would make this possible. Their guiding vision to "go green" by being paperless is at the core of all of their software products. They currently serve the pest control, lawn care, service, environmental and home inspection industries. Inspector FX was the first home inspection program to run on a handheld computer, the original Apple Newton MessagePad. New Image has added to their list of accomplishments by enabling Inspector FX to run on Apple iOS products. By utilizing these popular devices, Inspector FX brings a new level of efficiency and affordability to home inspection companies. Today the company uses their virtual infrastructure to interact with employees, associates and customers located across the US and Canada. The systems they pioneered enable any company to save upwards of 40% in overhead costs by enabling a virtual infrastructure. In today's volatile economy, this can be the difference between success and failure. New Image Software has been proud to be paperless since 2003 and has helped scores of other small businesses do the same. Before Inspector FX I could only do one inspection a day but because the software is so user friendly I can now do three a day. My agents like the way it looks, but really love the conciseness of the Summary. Way to go Rich & Kathy! The Easiest to use Inspection Software in the Industry. InspectorFX Software, provided by New Image Software. Contact us to discuss your business processes and learn how easy it is to integrate InspectorFX into your business.